After discovering The Bird in Berlin, I didn't think it was possible for burgers in Europe to get any better. 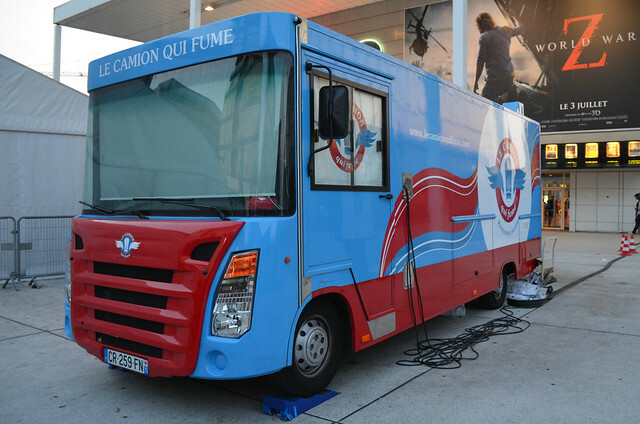 But after our latest trip to Paris, there might another serious contender: Le Camion Qui Fume, or 'the truck that smokes'. 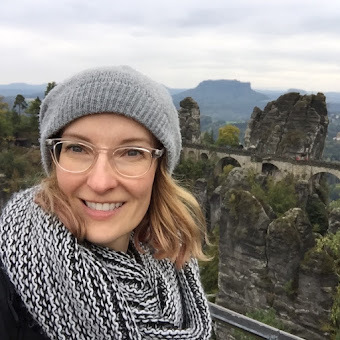 Still only a couple of years in operation, the brainchild of California chef Kristin Frederick, has amassed quite the following - literally. 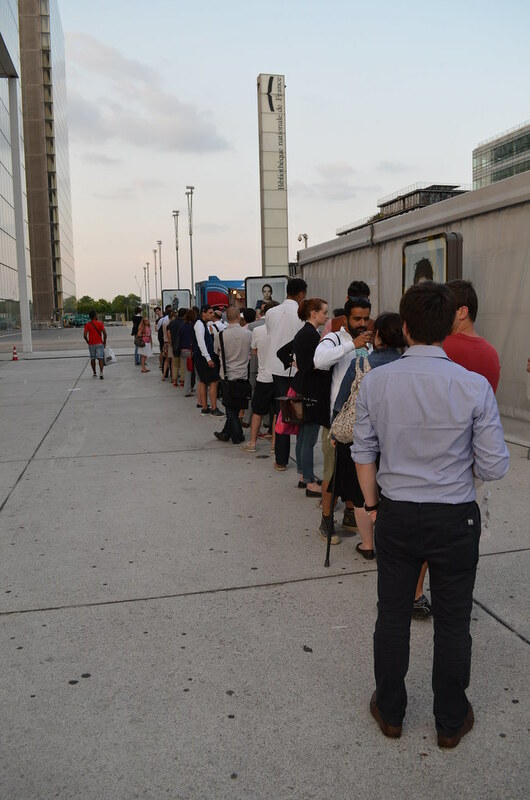 Parked at two different locations for the lunch and the dinner crowd, the line for such coveted American burgers can run upwards of an hour. That is, if they don't run out before you reach the truck. Ordering the barbeque-bacon burger, I was picturing a dripping mess. Instead I found my burger packed all the same flavor as the often over-loaded American counterpart into a nicely wrapped and not terribly saucy alternative - a nice realization considering brown bagging it means eating over your fashionable Parisian clothes. The burger meat was excellent, if not a close second to that of The Bird, but it was really the brioche bun that stood out. 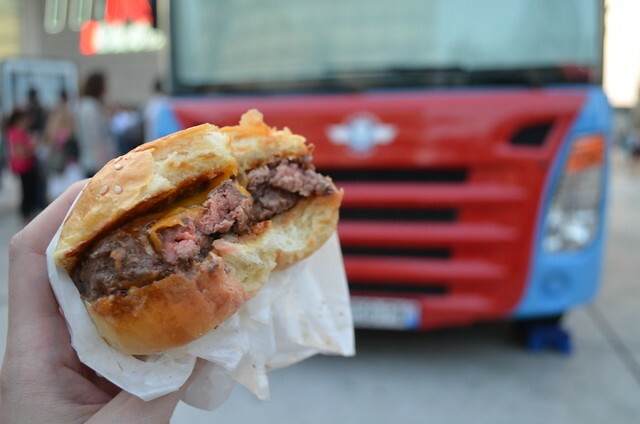 The fluffy-soft and sesame-d bun was perfectly suited to a burger, although not surprising in a country that is known for its obsession with good bread. I know preference around French fries is a terribly personal thing, but I must admit that if it's a potato and it's fried, I'm pretty happy to be eating it. That said, I did think these thinner-cut fries were pretty fresh and fantastic. 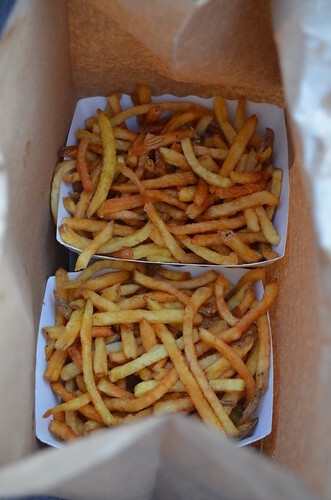 The only downside to the take-out system is that the steam gets trapped in the bag and the fries can become soggier than they're meant to be if you don't eat them immediately. Again, not usually a problem for me. While the dinner wait can be a bit of a killer - a fight almost broke out when someone slyly tried to cut the line - our stop for a lunchtime burger on the way out of town proved very quick and painless. My advice: arrive as close to opening as possible. 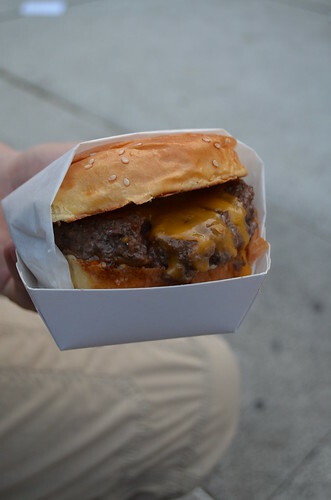 But if you do have to wait, just know that a little piece of authentic, American burger goodness waits for you at the other end. Fashion | Is it autumn yet?